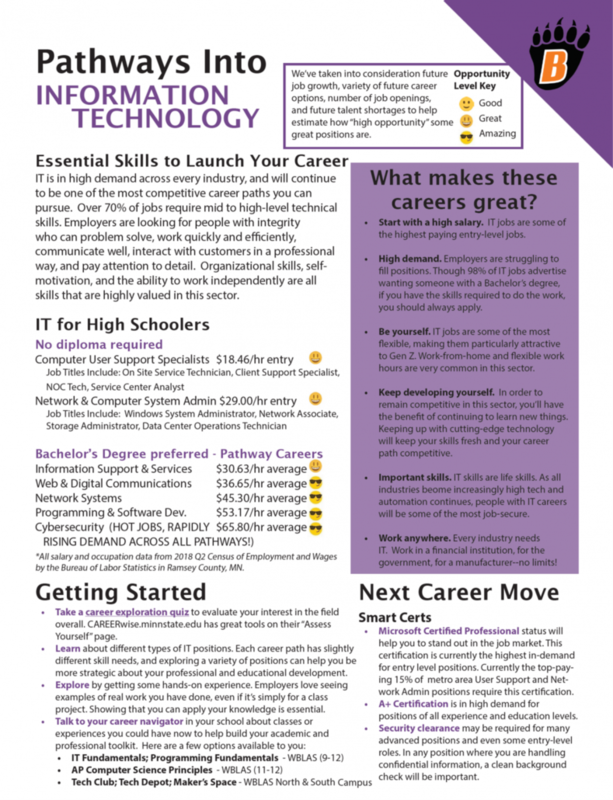 Our newest infographic highlights some of the latest trends in Information Technology–including the top soft skills, character traits, and computer skills that employers are looking for in new candidates. 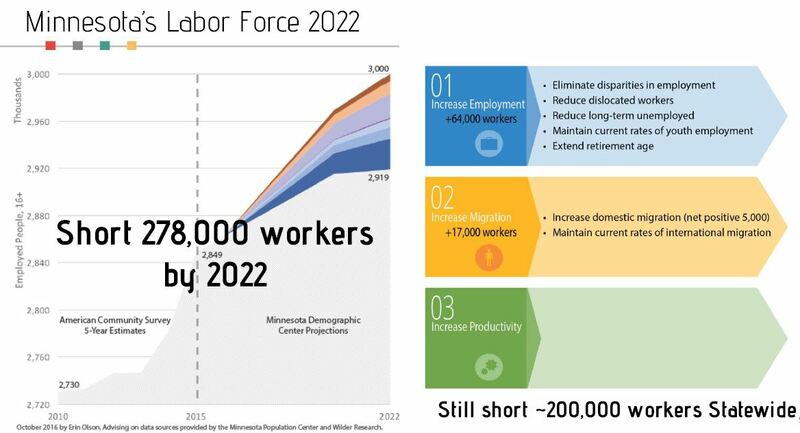 Take a look to see what employers are demanding from today’s Minnesota job seekers and get a sense of how much this field is expected to grow by 2024. ¿Se Habla Español? Chances are good that you do, because speaking a language other than English is at an all-time high in the United States. As of 2015, one in five Americans—nearly 62 million people—speak a language other than English at home, an increase of 50 percent since 1990 (U.S. Census Bureau). 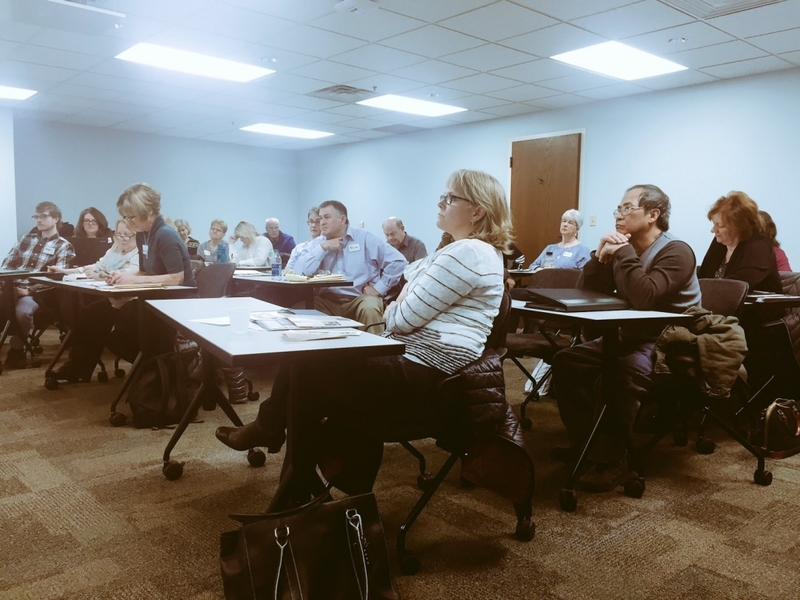 Here in Minnesota, the number of people speaking more than one language has been on a steady rise, and now nearly 12 percent of prime working age adults speak a language other than English at home (U.S. Census Bureau). And this population is fairly well-educated. Over half (54 percent) have an associate degree or higher or at least some college. Classrooms are seeing a dramatic rise in linguistic diversity as well, with 75 percent of Minneapolis classrooms having at least one student speaking a language other than English, according to data from Minneapolis Public Schools. 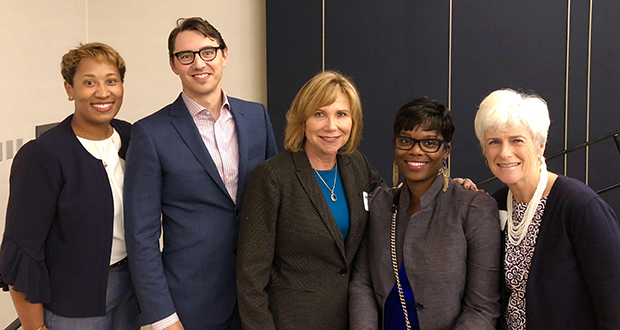 Considering that multilingualism is expected to keep growing in Minnesota, it’s more important now than ever to bring this linguistic diversity into our workplaces. In Minnesota, the most common languages are Spanish, Hmong, and the Cushite language family including Oromo, Somali, and Sidamo, but nationwide the largest increases have been among speakers of Spanish, Chinese, and Arabic. These happen to also be the sought-after languages employers hire for, according to the Center for Immigration Studies and New American Economy. 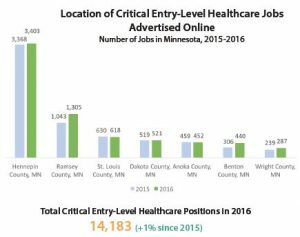 In fact, bilingualism was one of the top five most in-demand hard skills in Minnesota in 2015 according to online job posting data (TalentNeuron Recruit). These trends mean more job opportunities are opening up for bilingual workers in most states. Between 2010 and 2015, the number of online job postings targeting multilingual or bilingual workers more than doubled in Minnesota, matching trends nationwide. However, since a peak in the summer of 2015, counts of job opportunities specifically indicating a need for multilingual workers has been on a moderate decline—despite overall counts of job opportunities continuing to rise. 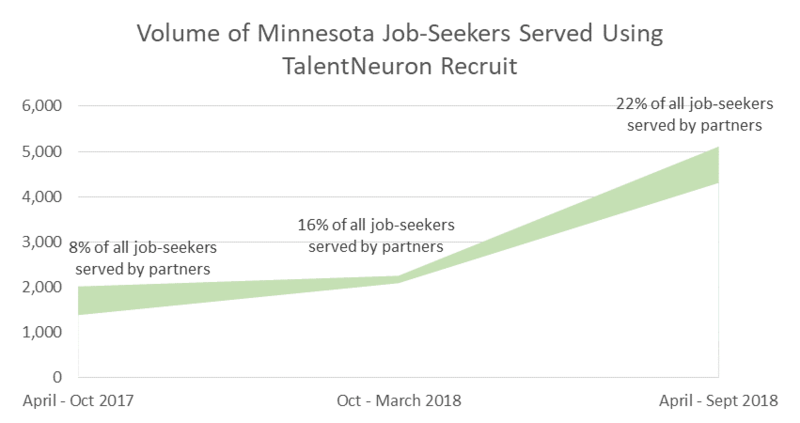 Using TalentNeuron Recruit, we identified the most in-demand occupations for people with bilingual skills, as well as the top cities and companies where you can find these jobs. 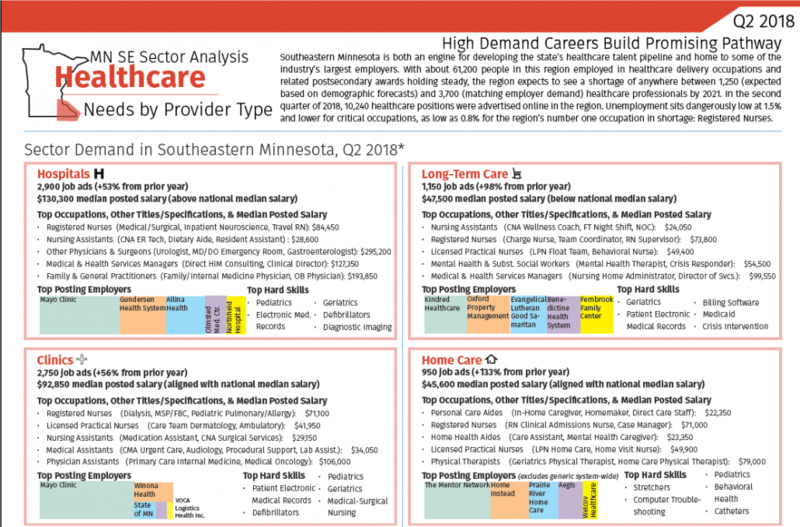 Explore the lists below to get a picture of the bilingual job landscape in Minnesota. Most Minnesota jobs hiring bilingual and multilingual individuals are located in large metropolitan areas, where the populations themselves tend to be more diverse or growing substantially. These employers had the most job opportunities open in July for a bilingual skill set in Minnesota. Sales and business development has the highest demand currently for bilingual workers, with 817 jobs available in Minnesota in this function area—up 30% from July of last year. 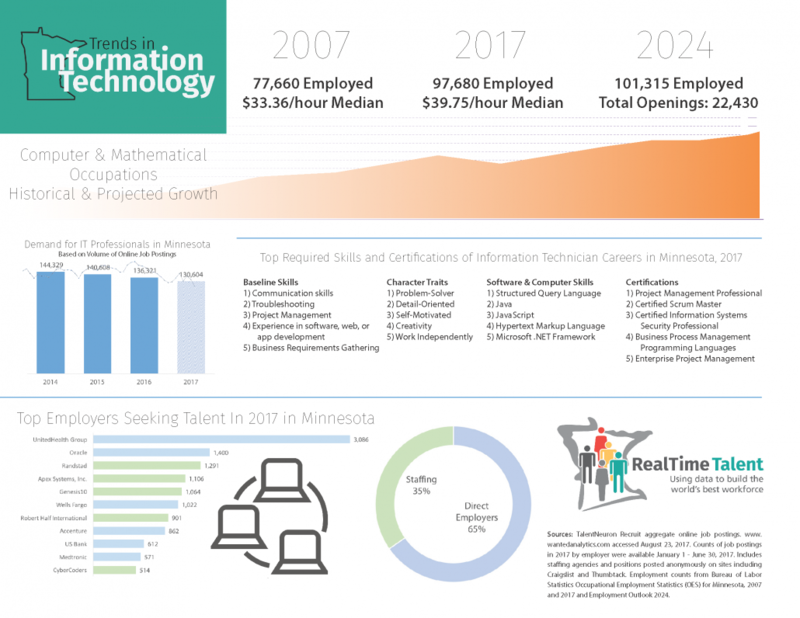 These are the top occupations requiring bilingual skills in Minnesota (to the 8-digit SOC level). 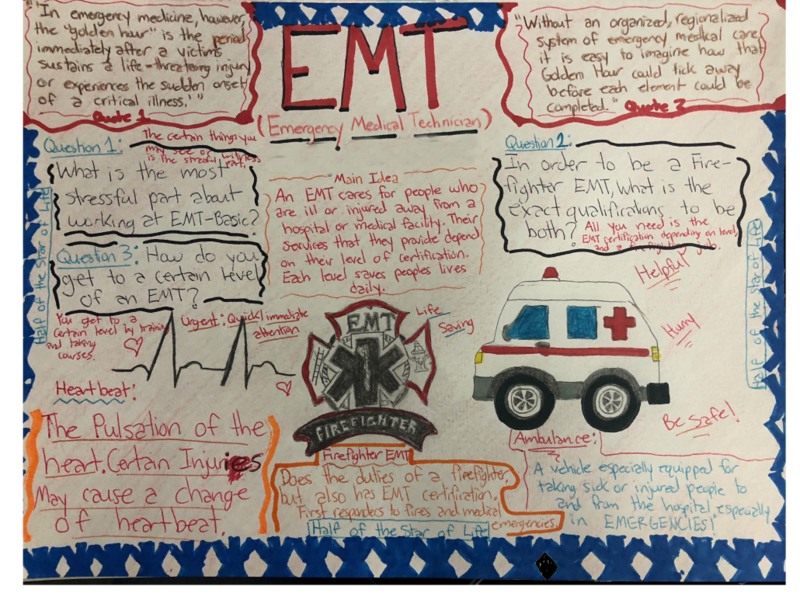 Want to read more on this topic? Let us know in the comments.